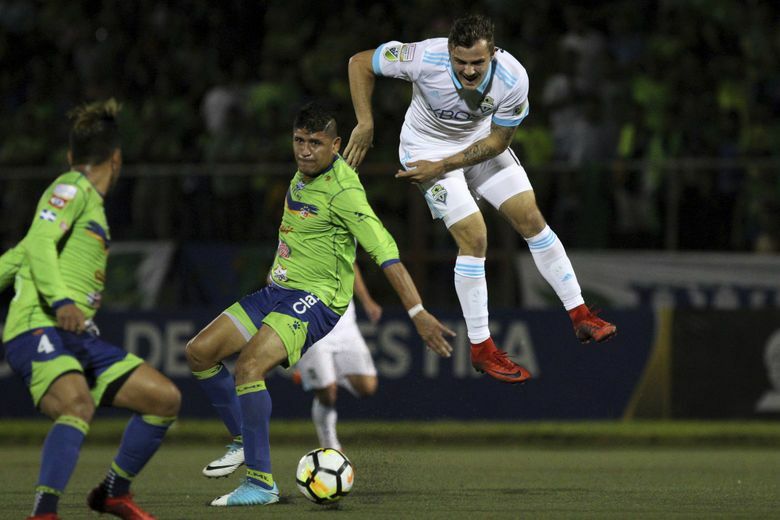 Sounders striker Jordan Morris has been lost for the season to a torn ACL in his right knee suffered in a CONCACAF Champions League game last week in El Salvador. Further tests are still being done on Sounders striker Jordan Morris, but general manager Garth Lagerwey told The Seattle Times on Monday morning that he will not play this season. While the recovery timeframe for an ACL injury can be as little as six-to-nine months, Lagerwey said the club is not prepared to rush its young star back on the field prematurely. Lagerwey cited instances when players came back from ACL tears in shorter timeframes only to lose effectiveness. And given how Morris devotes so much of his game to sprinting and speed, any early return this year is not a risk the club is going to take. The Chicago native mentioned the case of Cubs outfielder Kyle Schwarber, who returned from an ACL injury in fewer than seven months and actually served as a designated hitter in the 2016 World Series, only to experience a production dropoff in early 2017 that led to a Class AAA demotion. The injury occured in the 85th minute of a 2-1 loss to Santa Tecla FC last Thursday in El Salvador in the opener of their CONCACAF Champions League series. Morris’ father — team doctor Michael Morris — made the ACL tear diagnosis immediately on-site through a routine external mobility check of the knee, used to determine stability. The team still doesn’t know the full extent of the injury and whether additional ligament and meniscus damage was done. That likely won’t be determined until Morris undergoes ligament reconstruction surgery at an as-yet-determined date. There’s some thought of having Morris do some leg strengthening exercises before the surgery to reduce the level of muscle atrophy during his recovery. Lagerwey said the injury changes his short-term goals and that he’ll immediately be on the lookout for another attacking forward that can be added to the team’s vacant deisginated player slot. He cautioned that there could be better talent available this summer than right now, but he’ll make that decision based on what’s immediately available and how the team looks in coming weeks.